Here’s what’s coming up the week of August 13 – on the Morning Show on 88.5 KRFY. Airtime is 8 a.m. … but if you miss a show, you can hear a recorded podcast of it later in the day, on our Podcasts page. Tuesday, August 14: Hosts Julie Kallemeyn and Phil Hough will interview Beth Waterbury from the Panhandle Monarch Butterfly Study. 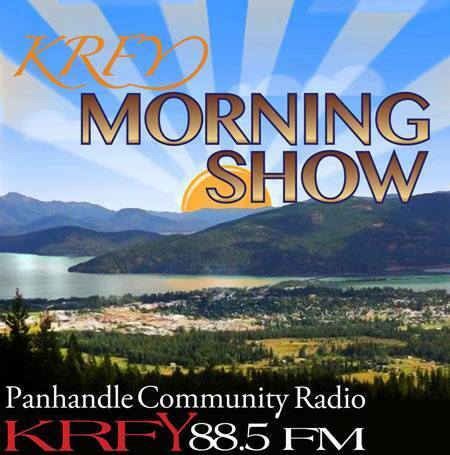 Tune in at 8 a.m.
Wednesday, August 15: Hosts Chris Bessler and Ryan Baumgartner will sit down with folks from Panhandle Alliance for Education. Airtime is 8 a.m.
Thursday, August 16: Join hosts Jack Peterson and Jim Healey. Their guest will be Madeline Elliott with Unknown Locals talking about the upcoming production of Blind Panic. Airing promptly at 8 a.m.
« Morning Show Guest Schedule This Week: Butterflies, Artists, Quilters.